Add a 3 point hitch to your 2 Cyl. John Deere Tractor..
WHAT JOHN DEERE TRACTORS WILL THE HITCH FIT? I'VE HEARD SOMETHING ABOUT HAVING THE RIGHT DRAWBAR SUPPORT? You will need to have a late model drawbar support for this hitch.. These can be ordered from your John Deere Dealer,or a tractor salvage yard. YOU HAVE SHOWN GREAT PICTURES,I DON'T NEED YOUR PLANS NOW! The real question is:"How much is your time worth?" 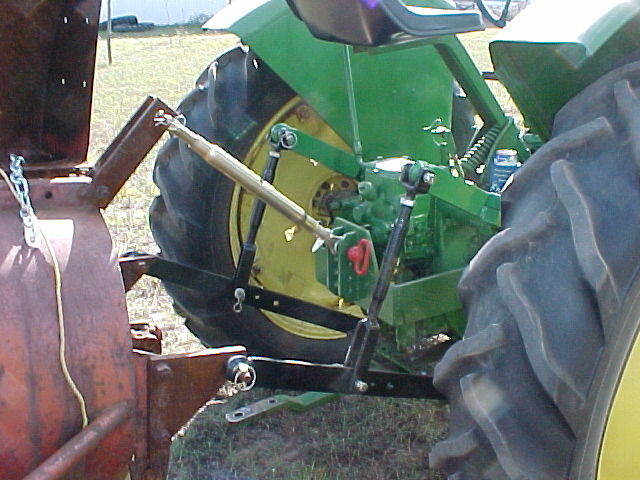 existing studs and the Lift Arms to the rocker shafts...no modifications to the tractor. NOTE: The TOP LINK MOUNT shown below has been redesigned. 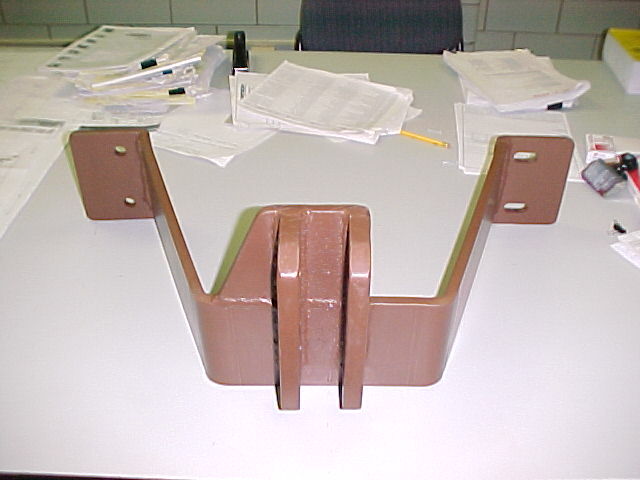 The bridge can be bent or welded. 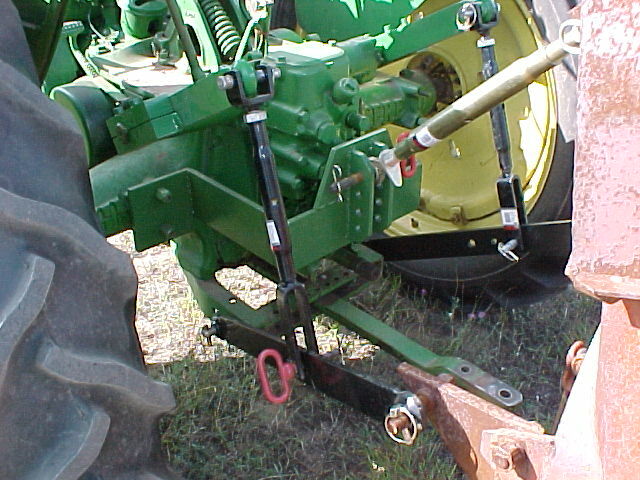 This conversion requires your tractor to have a "Powr-Trol" or a "Powr-Lift" unit. If you have a Powr-Trol unit you will have the ability to adjust the attachments to various heights. If you have a Powl-Lift unit you will only be able to fully raise or lower attachment(although the attachment will be able to "float" in the lowered position.